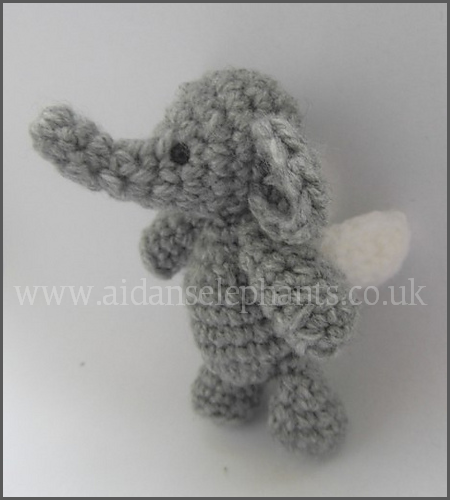 In December 2012, the wonderful Justyna Kacprzak from Cute and Caboodle, designed a knitted elephant with wings for Aidan. She very kindly made the knitting pattern for Aidan's Elephant free (on Ravelry's website) for anyone to download, in exchange for a suggested donation to Aidan's Elephants. You can download the knitting pattern below. If you make one of Aidan's Elephants - we would love to see it! You are very welcome to share your elephant on our Facebook or Twitter pages. Thank you so much to everyone who makes a donation in exchange for the pattern. 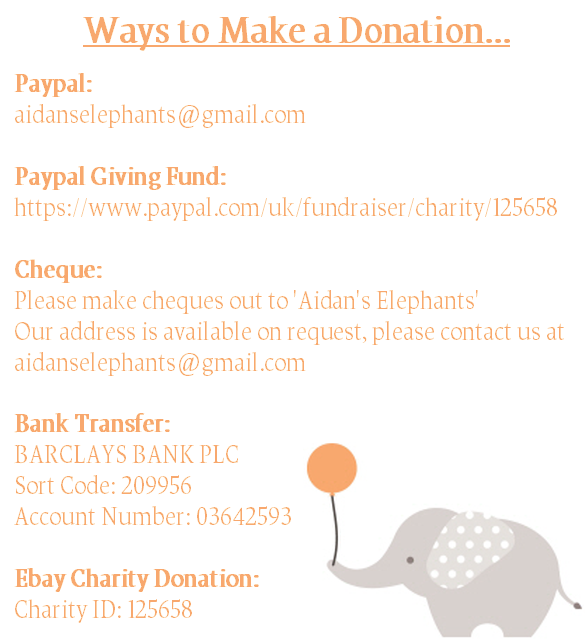 Every penny donated to Aidan's Elephants is spent on helping families who have lost their precious little one.